Sir Hersch Lauterpacht was one of the leading international lawyers of the twentieth century. He was born on 16 August 1897 at Zolkiew, a small village in Galicia (then part of Austria-Hungary), into a middle-class Jewish family. After completing his secondary schooling and studying law at the University in Lemberg, he moved to Vienna in 1919 for further university studies. There he worked under Hans Kelsen and obtained two degrees, first a Doctor of Laws and then a Doctor of Political Science. It was also in Vienna that he met his wife, Rachel Steinberg, who had travelled there from her home in Palestine to study piano. They married in 1923 and later that year settled in England. While living in London, Hersch entered the London School of Economics as a research student. He spent the years between 1923 and 1937 at LSE teaching, researching and writing at a great rate. During this period, Rachel and Hersch’s only child, Elihu, was born in 1928. Hersch met Arnold McNair during his first few weeks at LSE. McNair subsequently became his mentor and life-long friend. With his encouragement and support, Hersch completed his London doctoral thesis, which was published in 1927 as Private Law Sources and Analogies of International Law. Together with McNair in 1929 he initiated the Annual Digest of International Law (later renamed the International Law Reports). Hersch completed another major work, The Function of Law in the International Community, in 1933 and edited Oppenheim’s International Law from 1935 onwards. Again at McNair’s urging, he completed his practising qualifications and was called to the Bar by Gray’s Inn in 1935. In 1937 Hersch was elected to the Whewell Chair of International Law at Cambridge in succession to McNair. He taught here until 1955. Many of his students subsequently became prominent international lawyers, among them Daniel O’Connell, later Chichele Professor of International Law at Oxford, Richard Baxter, who became a judge of the International Court of Justice, Stephen Schwebel, who became a judge and President of the ICJ, and Sir Derek Bowett, who later became Whewell Professor. He continued his prolific writing, including the publication of three well-known books, An International Bill of the Rights of Man in 1945, Recognition in International Law in 1947 and International Law and Human Rights in 1950. He was also editor of the British Yearbook of International Law. Throughout this period Hersch was also active outside the Law Faculty. During the Second World War, he assisted the UK Foreign Office in the support of Anglo-American relations by giving lectures during visits to the United States in 1940 and 1941, and by preparing opinions on the lend-lease scheme, blockade, and related topics which were of much use to the United States Government. He also assisted in the preparations for the war crimes trials, becoming a member of the British War Crimes Executive and one of the British team at the Nuremberg Trials in 1946. Hersch was one of the counsel in the Corfu Channel case, 1948, and was amongst the international lawyers whose advice was sought by the Foreign Office on various issues. As a practitioner, he was part of the legal team for oil companies in their arbitrations with various Gulf States between 1948-1950, and advised the Anglo-Iranian Oil Company in its dispute with Iran over nationalization in 1950-51. He was a member of the Somervell Committee on Diplomatic Immunity, 1950-1952. 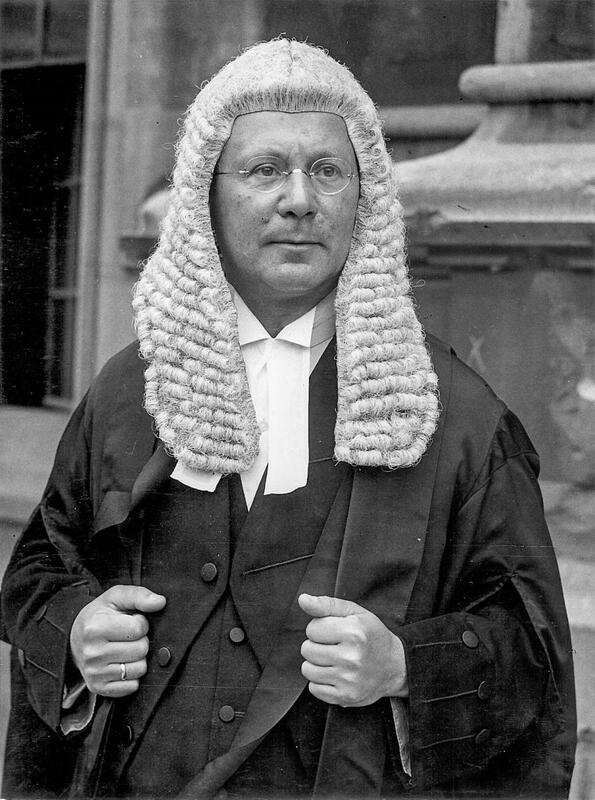 Hersch was appointed QC in 1949. In that year he prepared for the United Nations the Survey of International Law in Relation to the Work of the International Law Commission. In 1953 and 1954 he was elected to the International Law Commission, where he became Special Rapporteur on Treaties, before being elected as a judge of the International Court of Justice in 1954 in succession to McNair. During his time on the Court, he wrote separate opinions in the South-West Africa cases (1955 and 1956), the Guardianship Convention case (1956) and Certain Norwegian, Loans (1957) as well as dissenting opinions in Interhandel Case (Preliminary Objections) (1959) and the Aerial Incident Case (1959). He also found time to publish in 1958 The Development of International Law by the International Court. His wide circle of friends included many of the most prominent international lawyers of that epoch, such as Philip Jessup, Sir Gerald Fitzmaurice, Humphrey Waldock, Wilfred Jenks and Sir Robert Jennings, his successor in the Cambridge chair. Hersch was knighted in 1956. He died on 8 May 1960 at the age of 63. He is honoured annually at Cambridge in the Sir Hersch Lauterpacht Memorial Lectures. A biography of Sir Hersch 'The Life of Hersch Lauterpacht' was written by his son, Sir Elihu Lauterpacht and published in 2010 by Cambridge University Press.